After a lengthy renovation project kept the Kalmar Nyckel out of the water for Spring and early Summer, the Tall Ship of Delaware is back entertaining and educating guests throughout the Wilmington area. Day sails along the Christina River began July 28th, and the ship will offer both tours of the river and themed Pirate Sails, where the ship is transformed into a pirate vessel, complete with costumes, scavenger hunts and pirate tales. 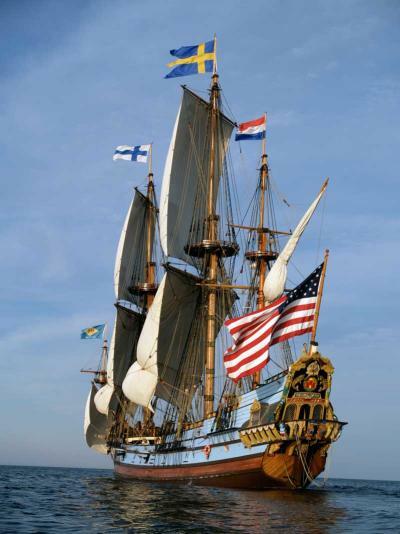 Sails will run on weekends through October, almost exclusively from the Kalmar Nyckel Shipyard and sailing down the Christina River. However, the ship will make several trips to Historic New Castle’s newly built Public Dock at Battery Park, a destination she has not ventured to in over 10 years. On September 8th, Historic New Castle will welcome the ship back with a sunset reception, complete with food, music, and tours. Tickets are limited, and available at historicnewcastle.com. The ship will stay at Battery Park on the 9th and 10th, offering dockside tours for guests. Then, on September 29 through October 1 and again on October 21, she will return for her first full-sail, up-rigged tours of the season. For tickets and more information about specific times and events, visit kalmarnyckel.org or contact the Kalmar Nyckel Foundation office at (302) 429-7447. Online tickets can be purchased by visiting kalmarnyckel.org/BookASail. Ticket prices for Christina River sails start at $20 for children and $35 for adults. 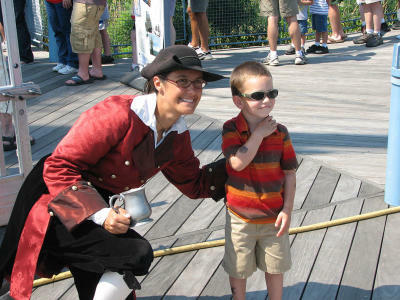 Tickets for full sails at Historic New Castle start at $40 for children and $60 for adults.